Imagination Technologies today announced that six key partners will be using their next-generation PowerVR Series 6 GPU code-named Rogue. However, the company named only three partners, saying the remaining three PowerVR Series6 licensees “are yet to be announced”. The three known ones are ST-Ericsson, Texas Instruments and MediaTek. Apple is currently a licensee of Imagination’s graphics unit incorporated in the Apple-branded mobile chip alongside ARM’s Cortex-based CPU unit. Apple’s A5 chip uses Imagination’s PowerVR SGX543MP2 GPU unit which delivers a ninefold performance increase compared to the A4 chip. 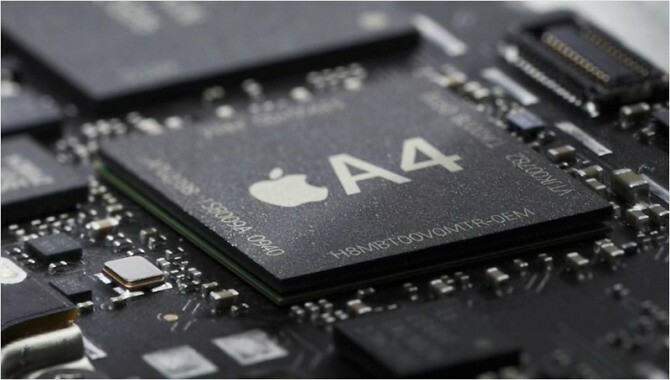 The previous A4 chip inside iPhone 4 and iPad 1 is based around the single-core PowerVR SGX 535 GPU, which also powers the iPhone 3GS. It’s quite possible that Apple is one of the mysterious three licensees of the Rogue chip. Imagination would only say that the Rogue GPU delivers “unrivalled GFLOPS per mm2 and per mW for all APIs”. We also know it’s backwards-compatible with the PowerVR SGX543MP2 GPU used in iPad 2. Additionally, MacRumors points to a ST-Ericsson press release claiming that the Rogue GPU incorporated in ST-Ericsson’s upcoming Nova A9600 system-on-a-chip will be capable of rendering over 350 million real polygons per second. Apple holds a 9.5 percent stake in Imagination Technologies as of 2009. The gadget maker had originally secured a 3.6 percent stake in Imagination in December of 2008. Intel countered Apple’s move 48 hours later, buying a 3.04 percent stake in Imagination. Unlocked iPhone 4 goes on sale today!